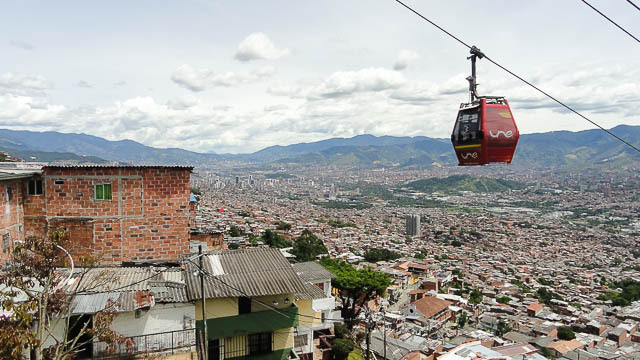 Medellin tourism has exploded in recent years as this once formerly off limits destination comes to the forefront for travelers to South America in a city full of friendly locals, urban innovation, affordable prices, and pleasant weather. 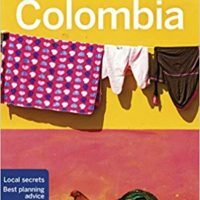 I’ve called Medellin home for more than two years now and have gotten to experience much of the best that Medellin and the surrounding area has to offer, so if you’re looking to hit the ground running, here are what I would consider the best Medellin tours which will give you a great perspective on this incredible city. 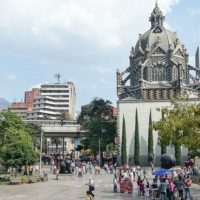 In this article we will cover a wide range of Medellin tours both within the city limits and those that you can do as a relatively easy day-trip nearby. 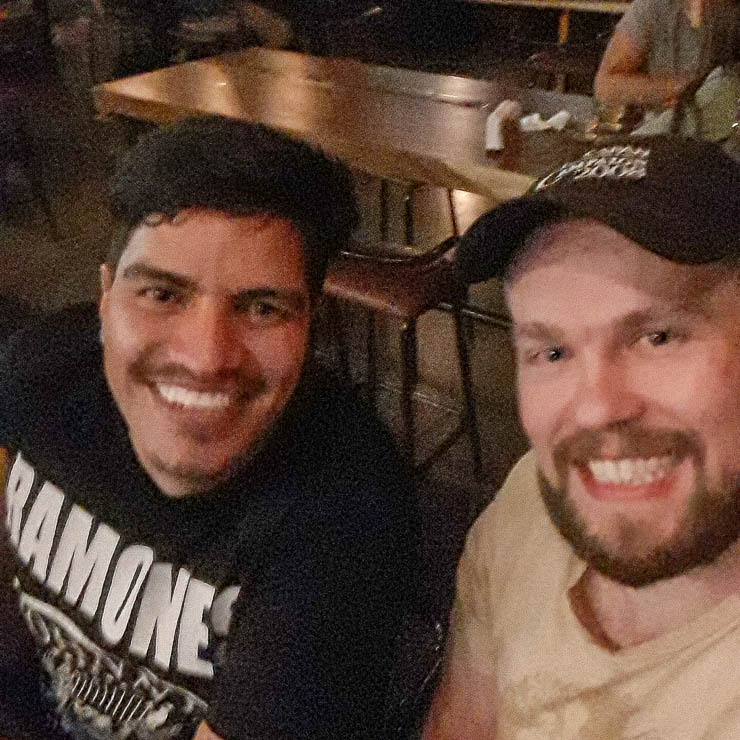 If you haven’t made your lodging reservations yet, be sure to check out my comprehensive article about where to stay in Medellin with neighborhood recommendations as well my article on the best hostels in Medellin. Real City Tour Medellin puts on what is one of the best Medellin tours, no doubt, and incredibly the tour is also free! Well, it’s donation based, so you are free to give whatever you like as the tour wraps up at the end. 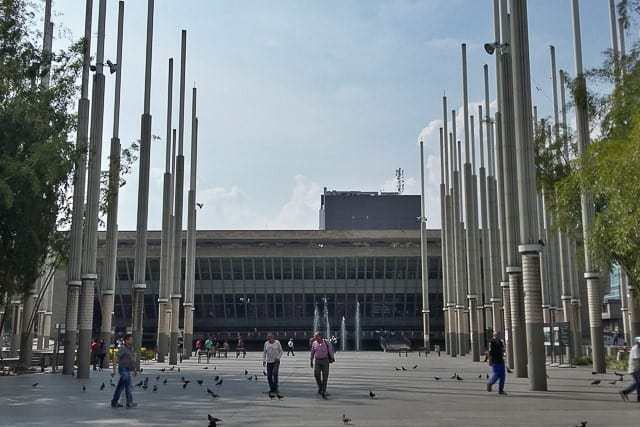 This great tour explores the sometimes intimidating downtown Medellin, and will also provide you with a great overview of the ups and downs of local history (which goes beyond the drug trade and Pablo Escobar). You’ll need to make a free reservation online, 1.5 days before you want to take the tour. Expect to spend about 3.5 to 4 hours walking through the downtown core, so wear your comfortable walking shoes. The tour is conducted in English and offers a great opportunity to meet other travelers as well. Whether you go with the tour or independently, don’t miss out on my comprehensive guide to the Medellin Centro. Santa Fe de Antioquia sits a few hours west of Medellin, at an elevation about 1,000 meters lower, making it much hotter than Medellin. Here you will find one of the best preserved colonial pueblos in all of Colombia, right up there with Barichara and Villa de Leyva. 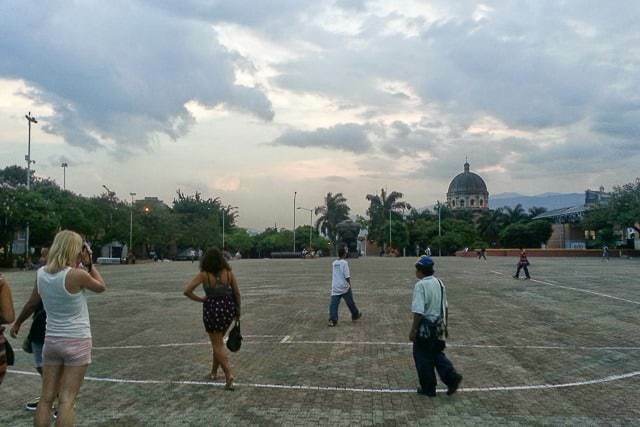 You’ll find small plazas, cobblestone streets, and colonial architecture. Santa Fe de Antioquia is where many Colombians go when they want to soak up some heat and sun while lounging beside a pool. If you go with a tour, you can expect to hit the town’s highlights, including the famous bridge that hangs over the Rio Cauca. Book your Santa Fe de Antioquia tour from Medellin now. 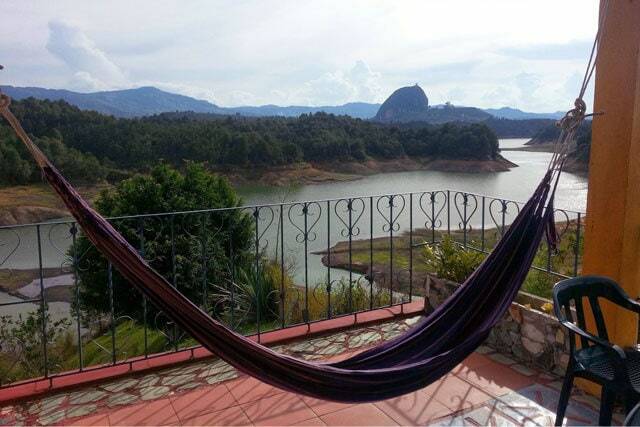 Guatapé would probably get my pick for the best day trip from Medellin, where you will find colorful buildings, a stunning reservoir, and a large and imposing rock monolith known as El Peñol. 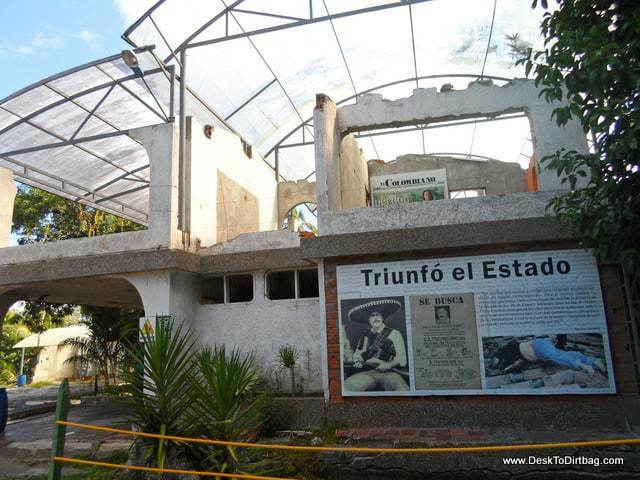 Here you can hit the water for a boat tour of the reservoir, including the bombed out ruins of a Pablo Escobar mansion and here the story about the town that they flooded. Then you can climb the 800+ stairs to reach the top of the rock monolith which offers up one of the best views that you’ll find in all of Antioquia. It’s tough work, but totally worth it! Book your El Peñol and Guatapé tour from Medellin now. 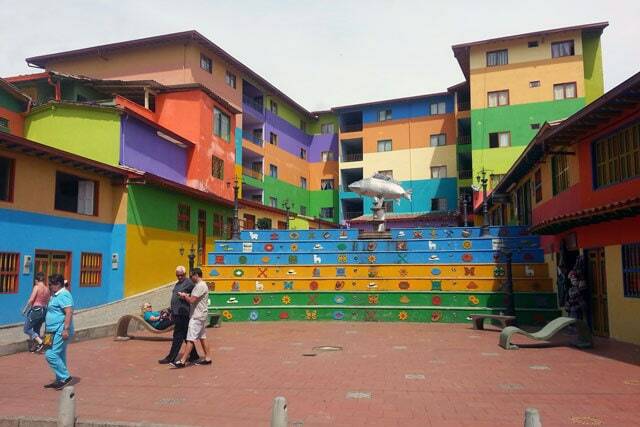 Comuna 13 has become one of the parts of the city that best exemplifies the progressive and innovative approach that Medellin has taken in terms of the underserved parts of the city. Here you will enter the so-called slums, where you’ll find a poor and once crime-riddled (not to say that things are perfect now) part of the city that has cable cars and electric escalators to help residents move about better. Part of the character of this neighborhood has been the urban artwork or graffiti that brightens up what might otherwise be sad or dilapidated buildings, houses, and structures. You can explore this interesting and evolving part of the city with a local guide or local graffiti artist who will lead the way. This is another free tour that is donation based. Just be sure that you go with a local guide who can give you the most accurate and insightful information. Book your Comuna 13 tour now. Ah yes, Colombia and coffee, they go hand in hand. 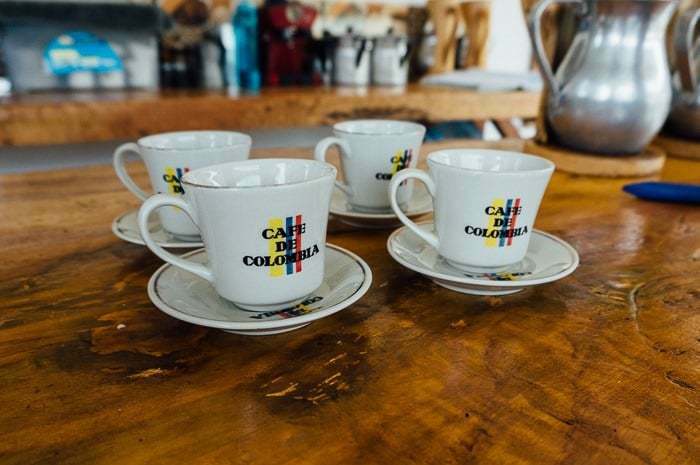 If you’re going to be visiting Colombia’s coffee axis to the south then I would say to wait until you get there (here’s the awesome Salento coffee tour we did), but you can also take an awesome coffee tour on the outskirts of Medellin. 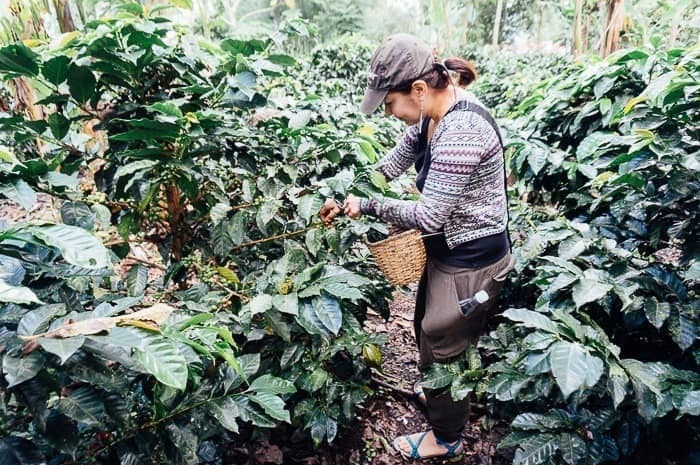 Here you will be able to visit a coffee plantation, learn more about this delectable drink, exactly what goes into making a good cup, and so much more. I’d consider a coffee tour a must-do for any visitor to Colombia, even if you don’t particularly love coffee (but what’s wrong with you?!). Couple the tour with your own DIY tour to the best coffee shops in Medellin and you can come back home as knowledgeable about coffee as one of those obnoxious, snobby baristas. Book your Medellin coffee farm tour now. Things like cherimoya, granadilla, guanabana, lulo, mamoncillo, maracuya, pitahaya, and many, many more… Fresh fruit and amazing fruit juices are always at hand in Colombia, so don’t miss a tour to get know the wide variety available. Book your Medellin exotic fruits tour now. Whether it is the delicious empanadas envigadenas, chuzos de pollo, or a fat and decadent arepa with cheese and condensed milk. Tasting new and different street food can be an intimidating prospect for many travelers, which is why it makes sense to take a Medellin street food tour with a guide that will show you the best things to eat and the best places to eat them. Book your Medellin street food tour now. Fancy peeling down dirt roads through the lush green hillsides surrounding Medellin on the back of your own ATV? Then this dose of adrenaline might be just what you need to experience the outskirts of Medellin from a perspective that few see or experience. These sorts of excursions are not only good to get the adrenaline flowing but to get you out of the big city and back into nature — even if it is tearing through nature on the back of a quad. Expect an excursion of about half a day and don’t forget to bring your camera. Book your Medellin ATV tour now. Do atvs sound a little lame in terms of adrenaline? Then maybe soaring high above the city would be more your style. Paragliding is a blast, and there are some reliable thermals, particularly around San Felix, where you can strap in with an experienced pilot and see the city from a new perspective. If you have never been paragliding before, then I’d highly recommend doing it! Make sure your pilot will do a few corkscrews where you swing out nearly sideways and feel a bit of that G-force. You can get round trip transport from your hotel or hostel up to San Felix along with a 30-minute flight above the city for about $75. 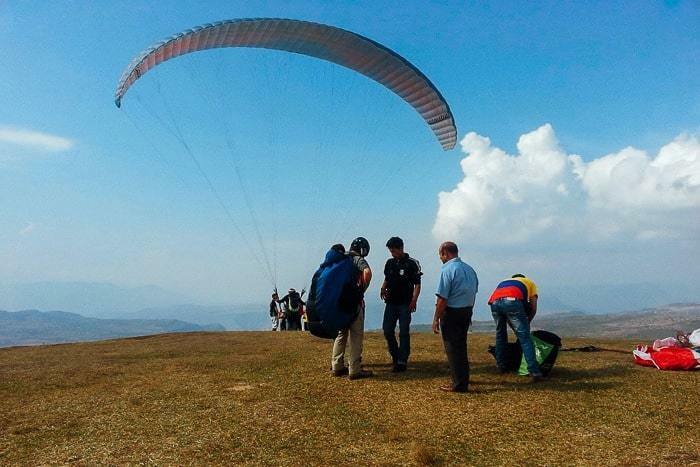 Book your Medellin paragliding tour now. Pablo Escobar is a major sore spot for the people of Colombian. He was a terrorist who killed thousands of innocent people and who destroyed the reputation of their beloved country, even to this day, more than 25 years after being gunned down. And then to rub salt in those wounds, dozens of shorts and flip flop wearing tourists come to take these tours and seemingly idolize or venerate this monster. By taking a Pablo Escobar tour you are often enriching people who were complicit in his crimes or those looking to profit off his infamy. The history is still very recent and many people in Medellin still live with those memories of violence, bloodshed, and insecurity. You be the judge, but I wrote more about why you shouldn’t take those Medellin Pablo Escobar tours that are offered to every foreigner… Rather than doing that, I would recommend you do your own DIY tour (details are in that link) or, better yet, take a tour to Hacienda Napoles which is the former estate of Pablo Escobar. At Hacienda Napoles you will find some strange attractions like the African safari he created there, including the now wild and free cocaine hippos. But more importantly, you will also find the ruins of his former mansion which has been turned into a museum that doesn’t glorify him but rather explains the atrocities he committed against his country, all in the name of the almighty dollar. 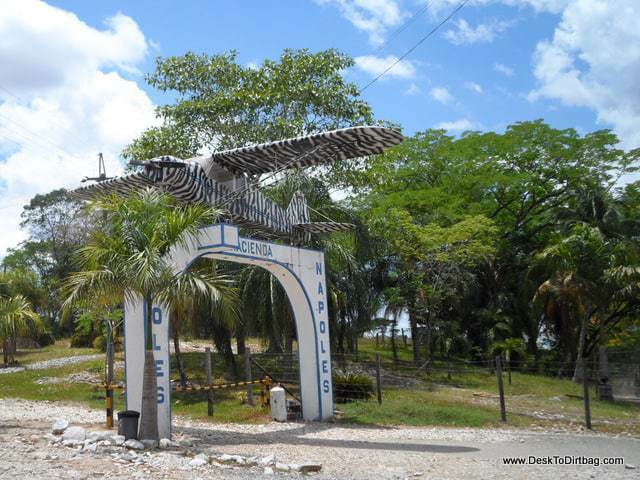 Read more about visiting Hacienda Napoles, and make it a point to visit this fascinating place. Believe me, it’s much more memorable than just looking at a bunch of old, normal buildings where history unfolded or seeing his grave. Book your Hacienda Napoles tour now. 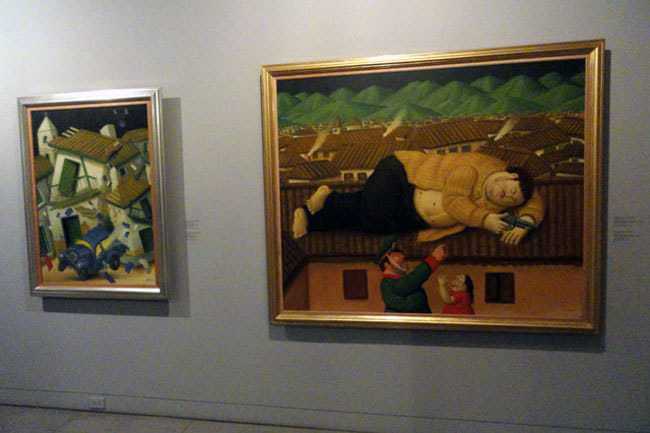 Those are what I’d consider being the best Medellin tours, and ones that any new visitor should be sure to do if they’ve got the time and budget to do so. But there are many other Medellin tourist attractions and interesting tours which one can take. 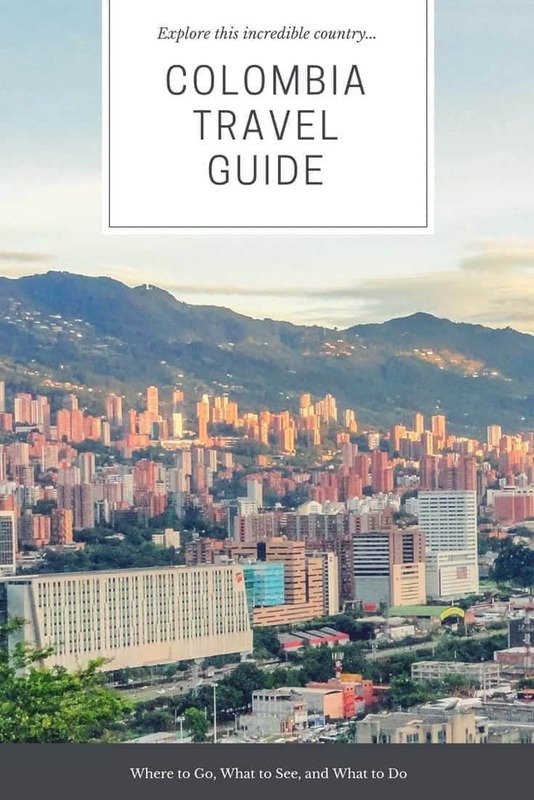 Also, don’t miss out on my comprehensive guide of things to do in Medellin so you can pack your time full of awesome stuff and great memories. You’re sure to be busy whether you are visiting Medellin for a few days or a few weeks (or even longer, like me). Traveling to Medellin? Be sure to book your hostel or hotel from Booking.com now to save. 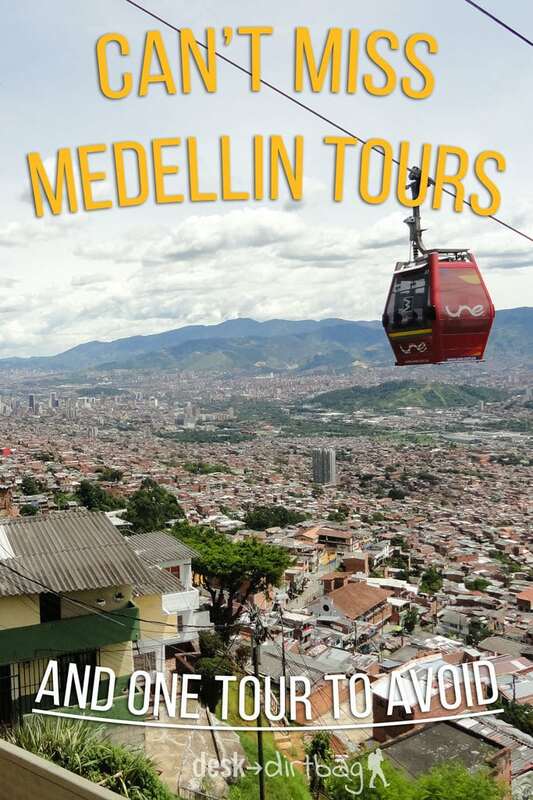 Did you enjoy this post about the best Medellin tours? Take a moment to share it on Pinterest, Facebook, or Twitter. Thanks!